The UK public sector spends £220bn a year on procurement – equivalent to £3,500 per adult and child, but there is no overall structure for managing this vast resource. Richard Mackillican asks public sector procurement expert Colin Cram how the incoming government can tackle this issue. The new government needs to make major cuts in public spending and given that procurement represents one third of public sector expenditure, it seems like an obvious place to start. “The problem is that, despite improvements spearheaded by the Office of Government Commerce and by some dedicated public sector procurement professionals, public sector procurement is still very fragmented,” says Colin Cram, who is public sector procurement advisor to the Institute of Directors and managing director of Marc1 Ltd.
“There is indiscipline and disaggregation within public organisations, with different organisations using different processes, which makes it very difficult for the private sector to engage with them properly. “There is a multitude of contracts for essentially the same products, a variety of specifications for the same things and purchases on a large scale that would not be necessary were public sector organisations prepared to work more effectively together. “Fragmentation means that the expertise of the greatest procurement and product category managers is often available only to the organisations which employ them. Their expertise is often not available to the wider public sector, which means that most procurement organisations have to make do with 2nd or 3rd best when it comes to category management. Even worse, the best category managers may work in organisations that have need for their particular expertise for only a portion, perhaps 10%, of their time. So much of their expertise can be wasted. Colin attributes the current situation to the way in which the public sector has evolved. Colin argues that successive governments have paid insufficient attention to dealing with the issue of how the public sector procures goods and services. “The ‘Thatcher’ government started to take a serious look at central government procurement in the mid-1980s and made some significant changes but failed to keep up the momentum. The Labour government of 1997-2010 paid much more attention to it but, despite some valuable initiatives such as the creation of the Office of Government Commerce, failed to address adequately some fundamental issues such as the way public sector procurement is organised and the poor quality of information on how and with whom the £220bn is spent. When asked if there were any other reasons why politicians have not addressed the issue adequately, Colin added that despite a number of business people in each party, there is an inadequate understanding amongst most MPs of and senior public sector officials of the importance of procurement and what is required to deliver savings and other benefits. Partly there has been scepticism about what benefits can be achieved. In contrast, there is a tendency towards ‘magic thinking’ which believes that big improvements can be achieved through incremental change. “The truth is that if all one wants to achieve is savings of 1%-2%, one should be able to do it through doing what one does now, but better – and there may be many ways of doing this. If one wants to achieve 4-5% overall, then a much more radical approach is required, including a great emphasis on collaboration and a certain degree of commitment to it, though there may be several ways of achieving this. “7% or more requires a genuinely radical approach, an integrated procurement structure proposed in the paper that I produced recently for the Institute of Directors, Towards Tesco. Subject to a few fairly minor variations, there is really only one model that is a serious option. The bottom line is that to achieve big savings, one has to make fundamental changes”. In his paper, Colin wrote that potential savings in procurement of £15bn a year could be achieved through a fundamental re-structuring of the management of public sector procurement and a further £10bn through a much broader and coherent approach to outsourcing. So is £15bn realistic? “£15bn amounts to 7% of public sector procurement. I suggested in the paper that it would take 3 years to achieve this. Most private sector directors of procurement would think that it was their birthday to be given such an unambitious target. Having spent the best part of 30 years creating and then managing procurement and contracting organisations, including some joint ones, I have been aware just what can be achieved by the industry best category managers that I have been fortunate enough to employ. “They understand the industry, understand the products, know the suppliers, understand what matters to customers and ‘commissioners’ and are highly respected. They can work with suppliers to take out cost. Consequently, in areas as diverse as facilities management, office furniture and laboratory supplies they have delivered cash savings of 35% or more – and have taught me a huge amount at the same time. When I pointed out that savings means reduced profits for the private sector, Colin said that all companies need to make healthy profits. His proposals would take cost out of procurement and enable suppliers to take out cost. It is not about reducing profits. In fact, an integrated public sector procurement structure should facilitate healthier supply markets. So what is this ‘integrated’ procurement structure? Essentially, it is that those who are best able should procure and let contracts on behalf of all should do so. All major contracts and framework agreements and category management for the public sector should be undertaken by the major professional procurement organisations that already exist in bodies such as Revenue and Customs, DWP and Buying Solutions. These organisations would need to be bolstered to undertake this role and would need the authority to do so. There are specialist procurements, such as research equipment, defence or for the security services. These should be done by specialist procurement organisations. For instance, the research councils would seem to be potentially well placed to handle all research equipment procurements. There is a strong argument that overall management of this procurement structure should be by the CX of the Office of Government Commerce. There are procurements and contracts which are better done at a regional level and regional procurement organisations should be set up to handle procurement throughout the public sector in those regions. The directors would report to the head of the national procurement structure. There is an argument for sub-regional procurement teams, again operating across the public sector and below that, small local procurement teams/people to act as internal clients and deal with small local procurements and contracts. These people would work for the organisations within which they reside. Recognition would also need to be given to the purchasing consortia which operate within particular sectors. They provide valuable links with customers and it should be possible to incorporate them within the overall integrated structure. The proposed structure would be consistent with Total Place and should help facilitate it. When asked if it would ever happen, Colin was optimistic. “The new government will have to make it happen – it will have to make a virtue out of necessity. Within 5 years – and I hope earlier, the management of public sector procurement will be structured along the lines I have outlined. Colin Cram has a successful procurement, outsourcing, conference programme and training consultancy business, Marc1 Ltd. An Office of Government Commerce accredited consultant, he is a regular speaker at national and international seminars and training events, lectures on university degree courses, is a regular contributor to professional journals and is an associate of Manchester Business School. He has been a member of EU working groups on Procurement, Innovation and Sustainability. He provides consultancy services to public and private sectors, including how to secure business from the public sector. Colin Cram, a Fellow of the Chartered Institute of Purchasing and Supply, held senior procurement positions in the public sector for over 30 years, including central government, higher education, scientific research and local government. He was responsible throughout for initiating and implementing innovative strategies for procurement, shared services, outsourcings and organisational re-engineering. 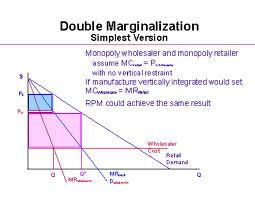 He developed and successfully implemented strategies to tackle monopoly supply situations. In creating several leading edge procurement organisations and collaborations, he was responsible for third party spends of up to £7bn a year. Savings from his initiatives exceed £1bn pa.
Colin’s most recent public sector position was as Director and founder of the North West Centre of Excellence. This led the drive for efficiencies through collaboration, joint procurement organisations and better practice across 47 local authorities. Its scope included procurement, construction, shared services, health and social care and the national lead for local passenger transport. Remember to use the following link to accessthe on-demand broadcast “Outsourcing Revisited: Is It A Viable Strategy?” which originally aired at 12:30 PM EST on Monday, August 2nd on the PI Window on Business on the Blog Talk Radio Network. A really interesting article. The savings that are needed, as this article suggests, require substantial upfront investment. That is in creating a centralised and collaborative function that can unleash the scale of the public sector with a large demand. However, with the heavy “back office” cut backs that yesterday’s Comprehensive Spending Review demanding of departments, such savings seems increasingly elusive. Very interesting perspectives Jonathan. I will definitely share your thoughts with the members from our Roundtable broadcast.